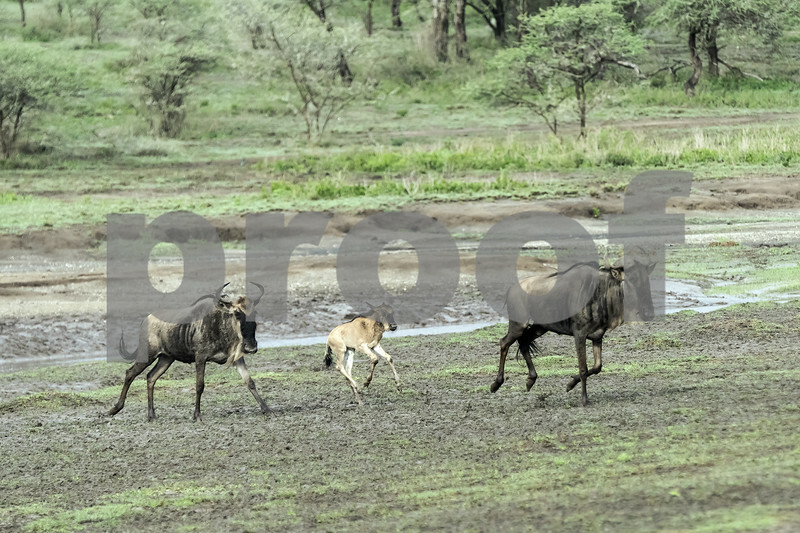 Newborn white-bearded wildebeest (Connochaetes taurinus albojubatus) calf running between two adult wildebeest during the Great Migration, Lake Ndutu, Serengeti, Tanzania. These babies have to be able to keep up with their mothers and the herd from the day they are born so they don't end up as prey from the predators that accompany the migration. It's all about the "survival of the fittest!" This is stunning Terry. It looks like the little one is keeping up just fine. Good view of the newborn--makes me feel nervous for the little one! Great shot of the baby and adults!